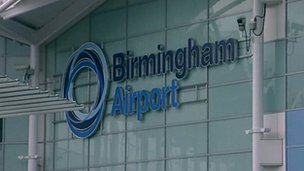 Birmingham Airport is expected to announce shortly that it is considering building a 2nd runway, and submit its plan to the Airports Commission. The airport wants to be considered as a major part of Britain’s aviation plans for the future, and could be a hub for European airports. Back in 2007 the airport’s plans for a second runway, in its Master Plans, were dropped in favour of the runway extension – due to open in 2014. If HS2 is built, Birmingham airport intends to benefit from it. Proposals include another terminal, incorporating HS2, as well as the runway. It is thought that the airport will say, in its submission, that the runway may not be needed for a long time, even decades as it currently caters for some 9 million passengers and could take over 25 million on its one runway. The airport’s plans are reported to be supported by the West Midlands Economic Forum which will release a report expected to say that there is plenty more potential growth for Birmingham Airport as the world economy grows. MP Mark Garnier said the airport needed to capitalise on being at the heart of the motorway and potential high-speed rail networks. 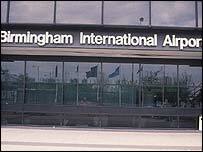 Birmingham Airport is expected to announce on Monday that it is considering building a second runway. It is in response to the Airports Commission which is looking at how Britain can meet demands for air travel in the future. It is a question which has triggered the suggestion of Boris Island, or the expansion of Heathrow. Now Birmingham Airport will join in the debate saying it could build a second runway. As long ago as 2007, Birmingham Airport said it wanted to expand the current runway and have a second. It has got the extension, but the second runway plan went on the back-burner. And then High Speed 2 came along. With the proposed line running to the east of the airport – the most likely place for a station would be in a brown field site along the M42 corridor. If the HS2 station is built there it would make sense for Birmingham Airport to put its new terminal and runway near there too. 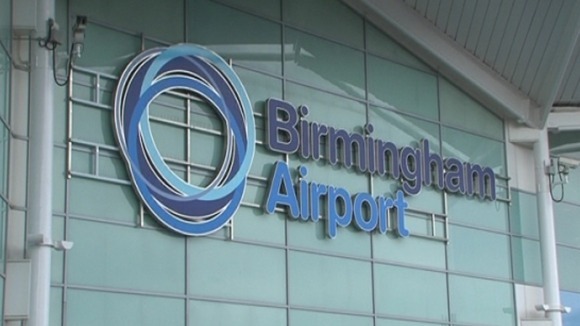 Birmingham Airport has always said it wants to considered as a major part of Britain’s aviation plans for the future. It is also said in the past that it wants a second runway but that idea was shelved. On Monday it is expected to make that concrete with an announcement that a second runway is a viable option, admittedly not for several years, perhaps even decades. 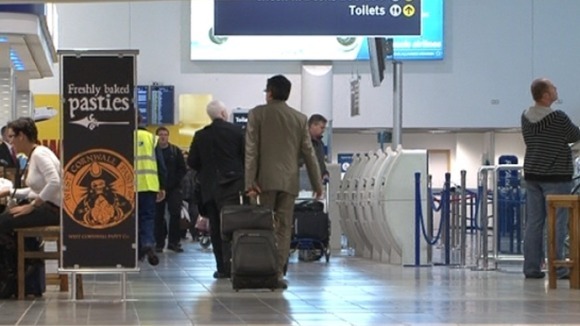 Its plans are being supported by the West Midlands Economic Forum which will release a report expected to say that there is plenty more potential growth for Birmingham Airport as the world economy grows, but if the airport itself is not allowed to grow it could get left behind. 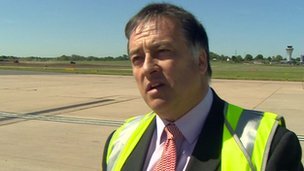 Birmingham Airport has the potential to become a hub serving north-west Europe, a West Midlands MP has said. The airport will unveil details of a 50-year plan for growth when it submits recommendations to the commission examining UK airport policy next week. Proposals include another terminal, incorporating HS2, and a second runway. MP Mark Garnier said the airport could make a “global” statement, but a Solihull councillor said proposals have been drawn up by “economic dinosaurs”. Managers at the airport, where work is being carried out to extend its runway, are due to submit plans to the commission headed by Sir Howard Davies on Monday. The airport’s public affairs director, John Morris, admitted HS2 was an important element of their proposals but said a potential second runway on a nearby landfill site was not yet needed. Mr Morris said: “At the moment we deal with about 9 million passengers a year. “You could put another 27 million passengers off [the current] runway which is more than a third runway at Heathrow would give you so it’s a good time yet before we’d have to look at [a second runway]. Mr Morris added the UK needs a network of national airports and said using its current runway to maximum capacity could lead to the creation of 243,000 jobs across the region. Mr Garnier said the airport needed to capitalise on being at the heart of the motorway and potential high-speed rail networks. The Conservative MP for Wyre Forest, who sits on an all-party parliamentary group for the West Midlands economy, said: “The really exciting thing about Birmingham is that we have an opportunity to be able to really make a statement globally for the West Midlands. “By having a much bigger airport, we’re now connecting all those businesses in places like Kidderminster, where I represent, with the global markets of the Far East and Latin America. But Solihull councillor Chris Williams, from the Green Party, said London would reap the benefits of any expansion. Mr Williams said: “Birmingham Airport’s proposals are very much macho plans, but I think they’ve been drawn up by economic dinosaurs. “[It will] get people flying into Birmingham, going off on HS2, supporting the London economy, doing nothing for us in the West Midlands. Birmingham Airport officially scrapped plans for a second runway in 2007. Birmingham Airport officially scrapped plans for a second runway in 2007. But the idea has not been ruled out forever. And supporters of the airport are increasingly talking about the benefits it would bring. I don’t want to be alarmist about the prospect of a second runway at the airport, which hasn’t yet completed the long-awaited extension of its first runway. If it ever happened it would be hugely controversial, and I think it’s safe to assume hugely unpopular, with the people living nearby. There are no plans to build a second runway now. No announcement is imminent, certainly not so far as I am aware. But it’s something of an elephant in the room. We know it’s still an option, but nobody wants to talk about it. Birmingham Airport has won a very effective lobbying campaign to convince government ministers to make more use of “regional” airports. Or perhaps I should say “airports outside the South-east”, as one if its goals is to be named a “national airport” and ditch the regional label. This campaign has focused on the fact that Birmingham could double the number of passengers it serves, from nine million today to 18 million, without any new infrastructure. And the planned extension of its existing runway will allow it to cater for 36 million passengers, and provide services all over the world (a larger runway allows larger planes, capable of crossing the globe). But the airport’s campaign goes further than that. The gist of its message is that the Government should not build a new runway at Heathrow, nor go ahead with Boris Johnson’s plans for a brand new airport. In other words, it is presenting itself as a potential answer to the question of how Britain can get the additional “hub” airport capacity it needs. That’s an airport where passengers change planes mid-journey. If Birmingham is to fulfil that role, it would almost certainly need a second runway. And Midland MPs are quietly lobbying at Westminster for it to be allowed one. draft of its master plan. to accommodate larger aircraft and offer more long-haul flights. of 31.7 million by 2030. The airport is also to aim to ensure a quarter of all passengers travel to it by public transport by 2012. Birmingham International Airport is the UK’s second largest airport outside London and the sixth largest [in the UK] overall. It directly provides 7,500 jobs and is estimated to contribute some £272 million to the regional economy. Business leaders in Birmingham say they believe extending the existing runway at Birmingham’s airport would be better for the region than building a new one. A second runway is part of a plan to cope with a predicted three-fold rise in passenger numbers to 30m a year. The current runway would be extended with a second one built later. But Jerry Blackett from Birmingham Chamber of Commerce says the expansion is the most important thing for increasing capacity at the airport. “It’s the extension to the runway that gives you the reach, the second runway doesn’t give you any more capacity in terms of reach, so we are very clear it’s the expansion that matters,” he said. Officials at Birmingham International Airport are currently negotiating with new private sector partners. A formal planning application for the expansion is expected to be submitted in August. 10 million passengers in 2007 and now serves 126 scheduled and 44 charter airlines. 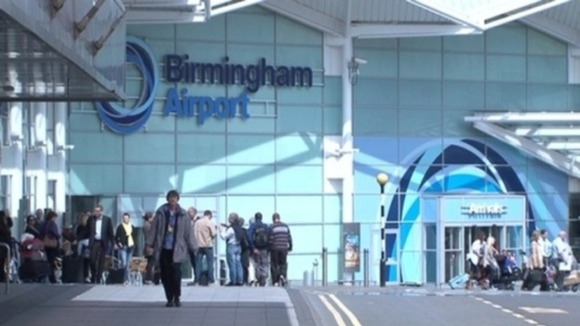 Birmingham International Airport has announced expansion plans for a third passenger terminal. The airport claims this would create 27,430 jobs and generate £957m for the West Midlands region. The enlarged airport could then cope with 33m passengers by 2030. The scheme opens for consultation from Monday until March 2006. Friends of the Earth said the expansion would lead to more pollution and the loss of green belt land. The scheme would see a proposed runway extension and a second runway – as previously announced – as well as a third passenger terminal officially announced for the first time. Managing director Richard Heard, said: “We believe the airport should continue to grow and develop, as it has over the last 20 years, to continue to support the growth and development of the region. “However, we believe that a coherent, comprehensive and effective policy, which deals with the environmental impact of our operations and future growth & development, is also essential. “Over the years we have operated a good neighbour policy and we will continue to listen to local people and work with them to mitigate the impacts of our operations. But Chris Crean from West Midlands Friends of the Earth said: “The BIA masterplan declares an open season on our environment. The scheme will need approval from Solihull Council. Public meetings, exhibitions and a summary newsletter have been arranged for their airport’s neighbours. Posted: Saturday, June 8th, 2013. Filed in Climate Change News.